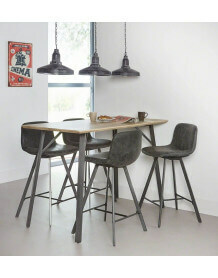 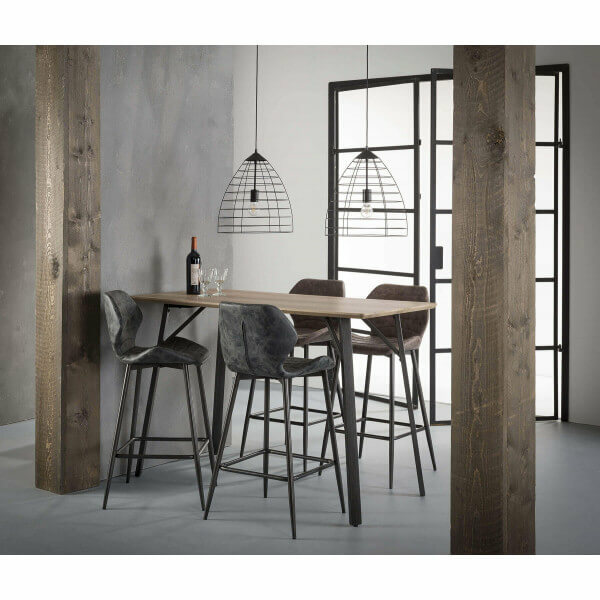 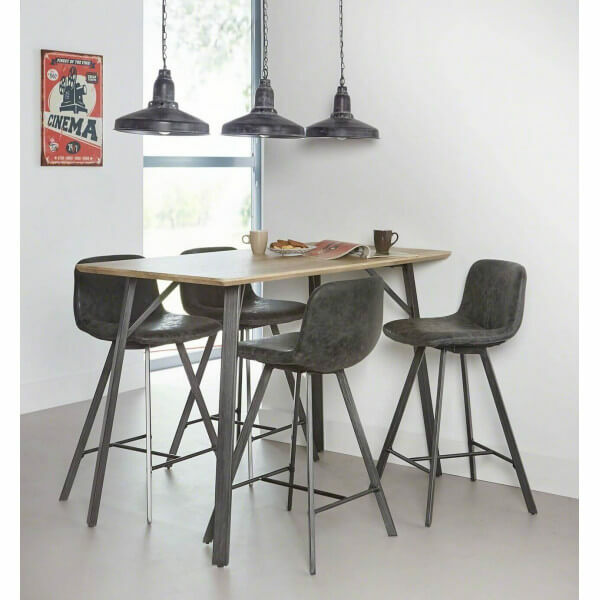 High dining table with oak veneer aspect top and dark grey steel legs. 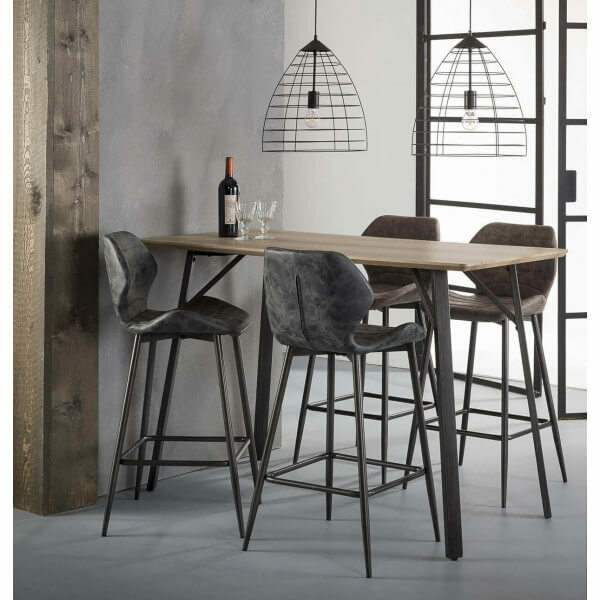 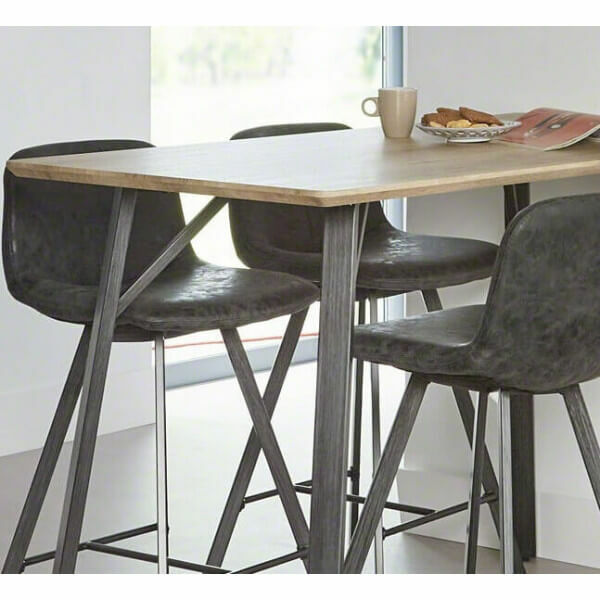 An original High Table for those who like to elevate themselves during their meal break. 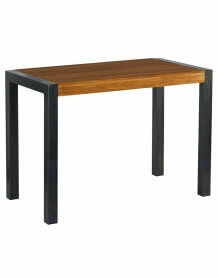 The table is delivered knocked down, 2 cartons.